There are times when we need to find a change of scenery. Life's circumstances can shield us from seeing the bigger picture. We find ourselves in a difficult place, limiting our growth, limiting our potential, limiting ourselves. During those moments of soul searching, we find truth. Sharing a brilliant perspective, the reveals and revelations in the inspirational movie, The Shack offers a special message for those of us looking for that change of scenery, the bigger picture, perhaps truth. The Shack takes us on a father’s transformative spiritual journey. After a family tragedy, Mack spirals into a crisis of faith and questions God’s existence and life’s purpose. Mack is unable to move on until he gets a mysterious invitation to an abandoned shack. There, God reveals Himself in the form of three strangers led by Papa. Mack’s journey will transform audiences of all ages, in this movie that you will want to watch over and over. The Christian movie event of the year, this “powerful and gripping” (The Dove Foundation) film has been awarded the Dove Faith Friendly Seal of Approval. 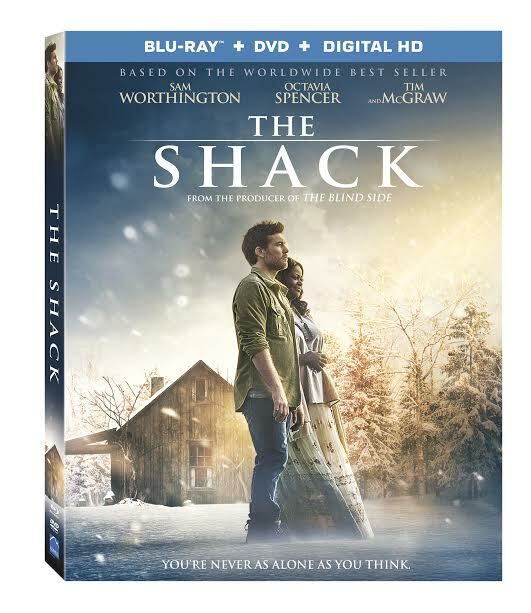 Newly released on Blu-ray, DVD, and Digital HD, The Shack is a movie based on The New York Times best-selling novel, written for the screen by John Fusco (The Forbidden Kingdom) and Andrew Lanham (The Glass Castle) and Destin Cretton (The Glass Castle). The Shack features audio commentary with director Stuart Hazeldine, five featurettes, plus a bonus deleted scene. 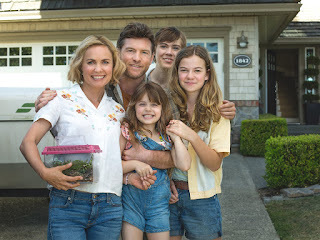 Keep #TheShack conversation going at The Shack Movie Website on Facebook, Instagram and Twitter follow @theshackmovie.